The "YES! – Young Economic Summit", organized by the ZBW – Leibniz Information Centre for Economics in collaboration with the Joachim Herz Stiftung, is gaining momentum. Until 2019 students from 50 schools over the country will be asked to send in their ideas for solving today's most challenging problems. A look inside the YES! team's work. Do you still remember, back in about grade 10 or 11, when you spoke with a Nobel laureate about integration projects? Or when you presented your ideas for a concept to integrate refugees to a minister president and his cabinet? Several of the participants in the „YES! – Young Economic Summit“ have a very clear memory of this in any case. These are just two examples from the first years when successful student teams were given the opportunity to subject their ideas which they developed as part of the “YES! – Young Economic Summit” youth project to a practical everyday test. Now, 2017 will see YES! take place for the third time. Under the patronage of the Federal Minister for Economic Affairs and Energy, Brigitte Zypries, 21 student teams from six states will participate. Over the next three years, the joint project of the ZBW and the Joachim Herz Stiftung will grow to become a national competition with around 50 associated schools from all states. 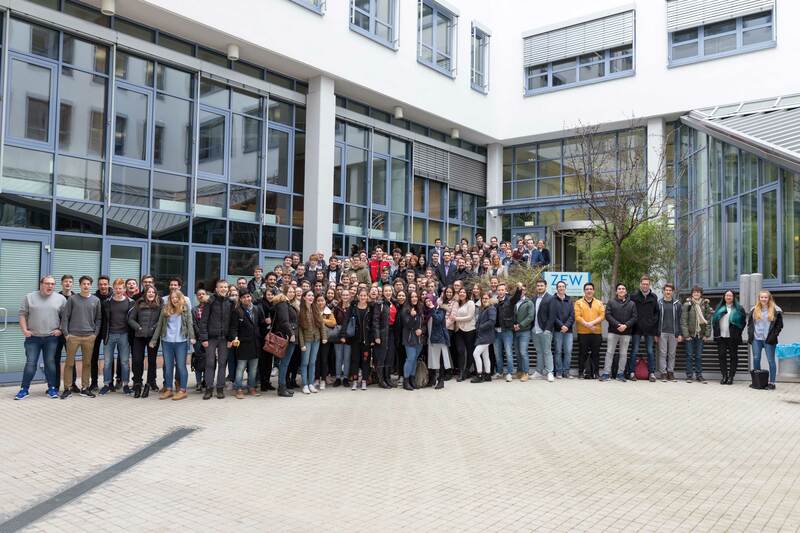 Now that the two February kick-off events which saw over 300 participants in Mannheim and Kiel are behind us and the topics have been allocated to students from six states, the research phase has begun. Among other things, they deal with topics such as “New working time models in the digital age”, “National innovation strategies”, “The strengthening of nationalism and populism”, “Strengthen fact-based debates!”, or “Post-growth society”. The list of topics chosen this year is diverse and covers challenges that are faced in the economy, environment, society and politics. 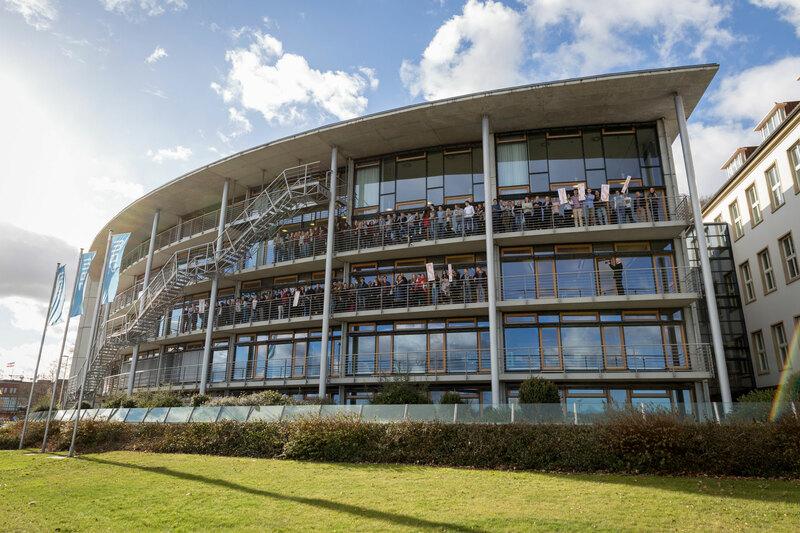 Experts from the four Leibniz Institutes ZBW, GIGA (German Institute of Global and Area Studies), the Kiel Institute for the World Economy (IfW) and the Centre for European Economic Research (ZEW) are available to assist the teams. The ZBW trains the young research groups on information literacy, focusing on how to carefully research their topics. In workshops on media literacy, they learn how to competently present themselves and their subjects to the public via social and traditional media. In the learning modules, the ZBW is increasingly focusing on digital formats such as the guided walk, video conferencing, webinars, digital learning pathways and interactive learning videos. Following this learning phase, a discussion with researchers from the four Leibniz Institutes takes place which addresses the respective solutions. It is inspiring to see how the groups of students get involved in their topics, develop ideas and exchange thoughts with the researchers. They take up proposals and use the services of the ZBW such as EconStor and EconBiz in order to thoroughly present their topics in English in front of 400 guests at the final event on 28 and 29 September 2017. The fact that the YES! team’s solution proposals made it to the Cabinet of Minister President Torsten Albig in Schleswig-Holstein and have already been presented in Federal Ministries shows that the ideas that emerged from YES! have the political class listening. And the teams’ journey continues after YES! On 29 and 30 May 2017, the winning teams from 2016 will present their concepts in Berlin at the „Global Solutions: Think 20 Summit“, where the ZBW is involved as a partner. Awaiting them will be an international stage which aims to provide solutions for the G20 countries, which in turn will meet in Hamburg in July. It will be interesting to see which doors open for the 2017 YES! winners. One sure thing, as past experience shows, is that the ideas are taken seriously.